After an evaluation of the student’s skills, each student is paired with the best fit tutor for individualized attention. Tutors set up a fun and creative environment to maximize learning. The student gradually becomes more confident and independent in doing their homework. They achieve higher scores easily, leaving that old homework stress behind. Learn English as a second language in a fun and effective way. Perfect English skills in a small class or with one on one instruction. Improving English language skills helps the student achieve more in school. Adults with good English skills obtain much more from life. Our interactive materials makes ESL easy and fun. We provide instruction that will prepare the student to successfully take the SAT or ACT. Skills and strategies are taught to maximize test scores, such as time saving techniques. An initial Diagnostic Test is given to assess areas of greatest need. Multiple practice tests are given to allow the student to practice and measure their improvement. Whether the student is homeschooled or receiving a public education, we can improve his or her grades with our homework help. We provide one on one instruction so the pupil receives the adequate help that is needed to become successful in school. Our students quickly see that learning is fun, become more confident and eager to learn. It is best to address learning issues as soon as they happen in elementary school. It is never too late, though. Receiving math help tutoring in middle school and high school is still effective for getting back on the right track. When students find math too challenging of a subject, they respond very well to our teaching methods. They catch on quickly, the “light goes on” and suddenly they understand. Lumen Learning Center offers tutoring math help with Algebra, Geometry, Trigonometry and Calculus. Lumen Learning Center helps your son or daughter prepare for the SAT and ACT test. A student’s college future is decided with the ACT or SAT test. We make sure they are well rehearsed and ready to score as high as possible on this test. This ensures a good college entrance opportunity. Reading comprehension can sometimes be a big challenge for a student for a variety of reasons. We get the student back on track quickly with tutoring in all parts of English with Phonics, Reading Comprehension, Writing Skills, Grammar, Essay Writing, Vocabulary and Spelling. Homework doesn’t come easy for some students and tutoring is necessary. The tutor picked for your student will help with homework, but will also teach good study habits. This makes homework easier and something that’s looked forward to. When a student does not fully understand English, it will present an unfortunate issue in learning. Lumen Learning Center provides English as a Second Language (ESL) tutoring so that the student can fully understand in class. This also gives the opportunity to become successful in life outside of school. Let’s discuss your child’s educational needs. Our learning center offers homeschooling classes, individual and classroom settings for tutoring, and helps with English as a second language. Experienced tutors are individually matched with students for the best learning experience. The Learning Center programs are: Homework help, ESL, Reading Comprehension, Math help, English, Japanese, SAT and ACT Prep, and other subjects for K-12. 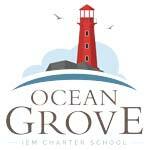 As an approved vendor for Ocean Grove Charter School, homeschooled students are provided with an environment to maximize their learning success. Through small group classes or one on one instruction, we provide support for students in elementary through high school grades in a variety of subjects. We would like to totally recommend Lumen Learning Center for tutoring. We have a 5th grader with some learning issues and he joined Lumen to work on his writing and reading. His writing has improved a lot and we have seen a big growth in his comprehension in just 6 months since he started at Lumen. His DRA jumped by 6 points in 6 months. The staff is very loving, supportive and professional. My son feels very much at home there and looks forward to his sessions as he feels very successful with his assignments. Louise was able to identify my 5th grade daughter’s learning style, which was different from the way teachers were trying to teach her. Discovering this helped her better understand what was keeping her away from the “flow of writing” that she needed. Her grades have not only improved, but she has gained so much confidence. My 3rd grade daughter recently started math tutoring with Melissa. After just 2 sessions, our daughter now says she loves multiplication and division. Melissa has taken away all the frustration! Ms. Louise is one of a kind. Fantastic teacher and very easy to talk to. She’s helped our daughter make significant and immediate strides in reading and phonics. She has a customized approach for each child and we feel our daughter is getting exactly what she needs (what she isn’t getting in school). Ms. Louise makes learning fun and produces results we just haven’t been able to get at home on our own. We highly recommend Ms. Louise and her staff!